At the end of each quarter, the IMF reports on currency reserve holdings by central banks for the preceding quarter. What investors are most interested in is the currency allocation of those reserves. Not all central banks report the allocation of their reserves. China, the world's largest holder of reserves, is believed not to report the allocation of its reserves. If it wants the yuan to be included in the SDR basket, it is probably a good idea to adopt the IMF's best practices. 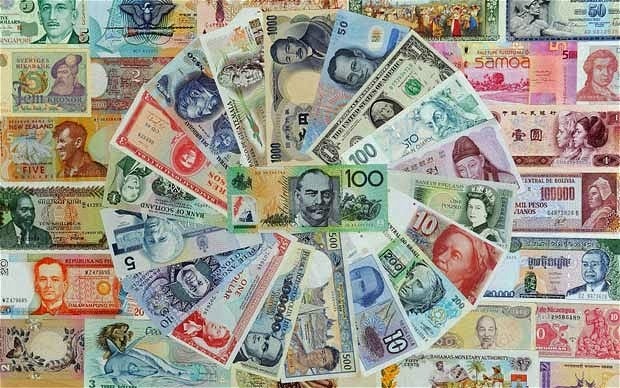 The currency allocation of 53.3% of $11.6 trillion of global reserves is known. Of the remaining $5.515 trillion (46.7% of global reserves), more than $4 trillion is accounted for by China. The allocation is scrutinized by analysts and economists trying to tease out details about the currency preferences of central banks. Sometimes observers miss the forest for the trees or don't understand what they are seeing. Others demonstrate the veracity of Nobel-prize winning economist Ronald Coarse observation that if tortured long enough statistics will confess to anything. Here are six points that have been largely overlooked when discussing the Q4 reserve figures. 1. The most important point that is under-appreciated is that the reserves are converted into dollars. What is reported is the dollar value of reserves. When the dollar rises, the dollar value of euro reserves falls, for example. The reserves are invested in assets, mostly bonds, though an increasing number of central banks equities too. The value of the assets change over time and need to be taken into account as well. 3. Overall reserves fell by $166 bln in Q4. This follows a $223 bln decline in global reserves in Q3. Part of can be accounted for by valuation, but seemingly unnoticed the dollar holdings themselves actually fell by $31 bln. This is very small potatoes. There are still 3.826 trillion dollars in official reserves whose allocations have been reported. It is interesting to think about why dollar reserves may have fallen. Contrary to the currency war meme, not all central banks want to have weaker currencies. 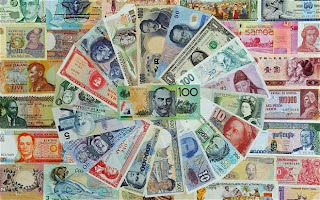 Several central banks are believed to have intervened Q4 14 to support their currency, and this often entails the sales of dollars. 4. The dollar value of euro reserves fell $46 bln to $1.351 trillion. This is a 3.3% decline. The IMF tells us the dollar rose from 0.7947 euros to 0.8237 (= euro falling from $1.2583 to $1.2140) over the course of Q4 14. The currency valuation then depressed the dollar value of the euro holdings by 3.6%. It could be that the IMF does not use the quarter-end rates to translate the euros into dollars. It could be that the 0.3% (3.6-3.3) is a rounding error. It could be that some reserve managers bought some euros (~4.2 bln euros). It could be that the some eurozone denominated asset was marked up. 5. The dollar value of most of the currency reserve holdings fell in Q4 14. There was one exception. The dollar value of the reserves in Swiss francs rose to $17.18 bln from $16.46. This is almost a 4.4% increase. The dollar rose 3.2% against the Swiss franc. Franc reserves are $1.25 bln more than passive assumptions would suggest. 6. The dollar value of allocated reserves fell by almost $100 bln or 1.6%. The dollar value of unallocated reserves fell by $67 bln or 1.3%. China's central bank reported that is reserves fell by $44.7 bln in Q4 14 or 1.2%. The small differential seems more of a coincidence that a signal of similar investment decisions. Consider the change over the past two years. Allocated reserves have slipped by $3 bln while unallocated reserves have risen by $650 bln, of which China's reserves account for $532 bln.